New car configurator area and feature car display area 'Drive' implemented to 400 sites across Europe. 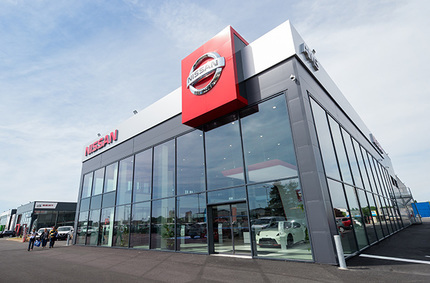 Having worked closely with Nissan on their existing showroom design for over 5 years, Principle were handpicked to assist with a facelift on all bespoke furniture items including a new Car Configurator Area, Service and Parts Reception, and a major new feature car display known as the 'Drive'. The challenging brief demanded that the installation take place whilst open to the public, with minimal disruption to day to day trading. The Drive itself had to maintain certain lighting levels using LED technology warrantied for 10 years commercial use. The car configurator utilised a 32” desk mounted touch screen linked to a 40” wall display to provide the customer with a truly interactive experience when specifying their new car. A new graphics package was also developed to compliment the new and re-designed furniture. Three prototype sites were installed simultaneously in the UK, France and Italy to showcase the new concept. The design is due for roll out to all 400 sites within Europe over the next three years. 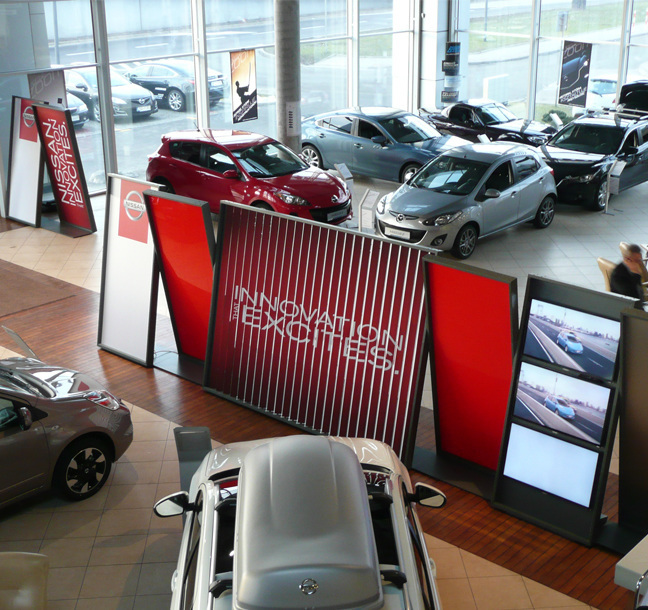 Design, development and implementation of showroom graphics across Nissan retailers in France.